In the past I’ve dealt with depression by myself. People have said; why don’t you take something for it? I follow my own counsel on the matter. Perhaps it takes me longer to find my even keel, but I like being in control of my health, or lack of it. This morning I pulled the curtains open to receive the full benefit of the sun shining in, though it was -3 degrees sometime overnight. I love that about living here–having so much sun, even when the cold is penetrating to the bone. You see, one of my own prescriptions is savoring the sunlight. Our kitten is sleeping on the throw rug close to the shaft of light coming in. She’s another part of my daily tonic; loving her is warming, internally, and makes me feel good. I gave my middle son a big hug today too. Despite that he needed to talk to me when I was on the phone with my closest friend here in Iowa… So often his behavior, at 26 and with his Down Syndrome is similar to a younger child’s antics. I try to deal from a place of patience, but I can tell you at times it’s difficult. Today I told him to wait ’til I was done, and turned my back. He took the visual prompt, I finished my conversation. Nate and I sing in the car because we really, really enjoy singing, and there’s no one to “boo” at us. Bread-making days are good ones too. Feeling happy through the senses; touch, taste, sight (one of the cards I made in last few days is above), sound. Each day I find so many reasons to be glad for what I have, instead of seeing the glass as half-empty. 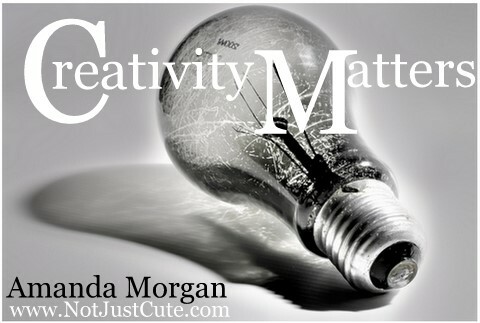 When I use a saying for my collages, it’s because I like what it says, and want to pass it on. Today’s says: “Love one another–I mean really love. 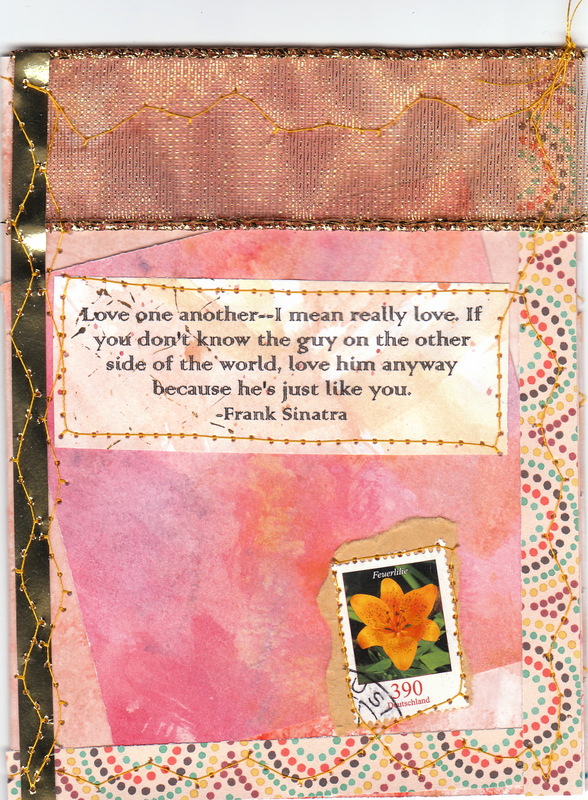 If you don’t know the guy on the other side of the world, love him anyway because he’s just like you.” by Frank Sinatra. I’ll leave you one more from a writer who’s books I’ve enjoyed, who spoke so eloquently about love. “Happiness and love are just a choice away.” by Leo Buscaglia. Here’s hoping we all make good choices!